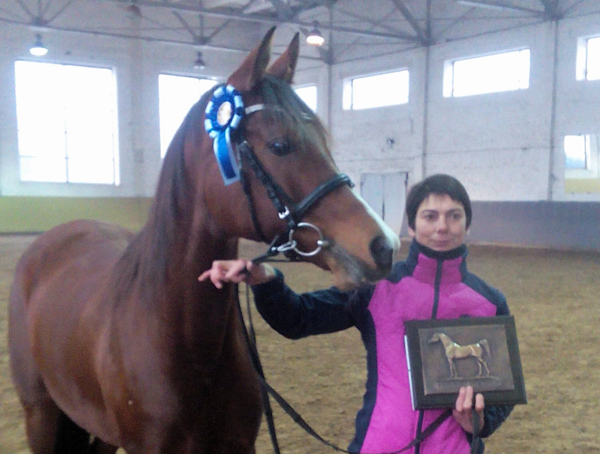 The Lithuanian Arabian Horse Association is happy to announce that the winner of 2018 WAHO Trophy is mare PALOMA (Bosas/Palanga). She was born in Vilnius Stud in 2009. Her current owner is Vytautas Martinavicius. She is sired by our previous WAHO Trophy winner Bosas (Magdan/Bosnia), and out of the esteemed broodmare Palanga (Elbrus/Persia) who also produced our 2016 WAHO Trophy winner, Polis. In 2014, Paloma was the winner of the Senior Mare class at out prestigious Arabian Horse Show. Since then, Paloma has shown very good results in endurance riding. 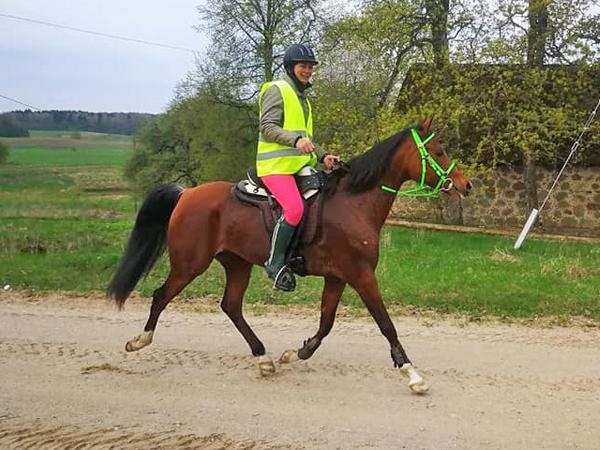 She successfully completed one competition for 41 km and two starts for 82 km, by the end of this season this talented and beautiful mare had achieved qualification for international competitions.